RC offroad car FUN CROSS on chassis Leopard 4WD sportsline WB535. Version delivered without Radio system, nor servos. 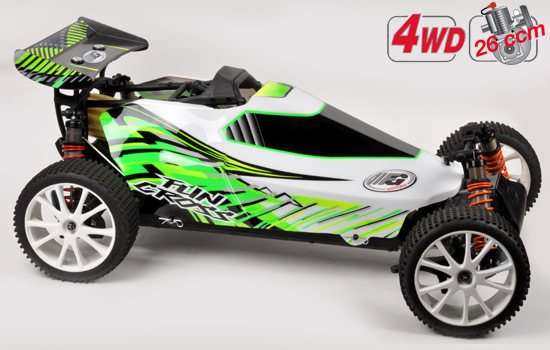 This 1/6 scale 4WD off-road buggy has been strongly inspired by competition types. With its front and rear Leopard type suspensions, the Fun Cross allows the most extreme drives.